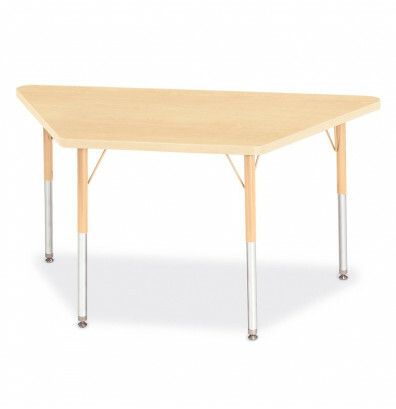 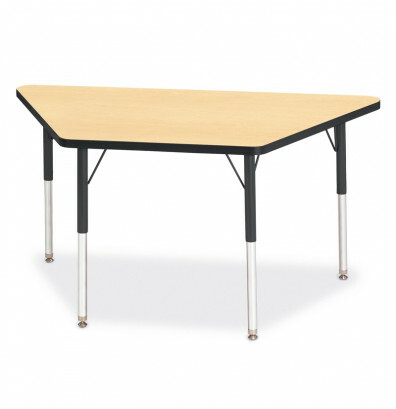 Jonti-Craft Berries 48" W x 24" D trapezoid-shaped classroom activity table offers a durable, scratch-resistant, and easy to clean 1.125" thick laminate surface for long-lasting use. The height adjustable legs have a range from 24" to 31" high in 1" increments. 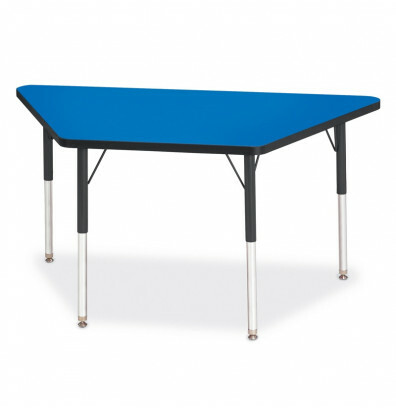 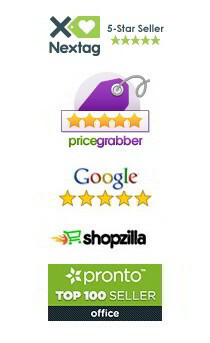 Well suited for group activity use in classroom and other learning environments. 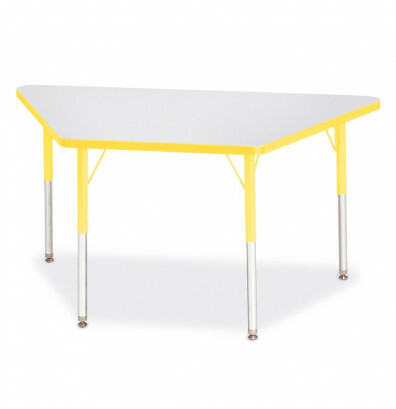 Jonti-Craft Berries classroom activity table is available in multiple tabletop and edge color combinations.